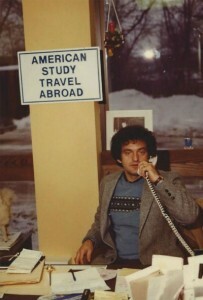 Forty years ago Bob Bianchi-Rossi first opened ASTA. Fast forward to today and ASTA is still a family run business. Being a family-owned travel company absolutely affects the products we sell. It affords us the luxury to take the long path. Sure we can take a shortcut, incur risks and expand our product line into unfamiliar territories. But specializing on tours to countries we know best & love, offer more history, culture and language opportunities that will surely expand the walls of your classroom. There are some special places where you just want to go and see. And among those places are the Zocalo of Mexico City, the epicenter of the birth of Latin America. I’m at peace and spiritually satisfied when I’m strolling the streets of Toledo or soaking in the waters in the South of Spain, the very places where the Spanish language was born. Travel gives us freedom, a sense of being – a deeper appreciation of well…family.